Facing your own death or the death of a loved one is one of the most traumatic experiences a person will ever encounter. A trusted San Francisco funeral service provider or funeral home can make the journey easier, if not painless. By knowing which questions to ask, making comparisons of prices and services, and figuring out arrangements that fit your or your loved one's expectations and personality, you can be equipped with the tools to make the right decision when it comes to choosing a funeral service provider or home. With so many funeral professionals to choose from in San Francisco, including those that service the major areas of Sunset District, Mission District, Bernal Heights, Pacific Heights and North Beach, the decision can be overwhelming. Let Diamond Certified help you maneuver more efficiently during this difficult time and find a funeral service provider or home that can meet your individual needs. Look through the following articles to discover how you can get the information you need to be confident in your choice of a San Francisco funeral service provider or funeral home. While the process of burying a loved one or planning your own funeral can seem daunting, you need to understand your rights and allowances according to California law before beginning. California law clearly states those who have the right, duty and responsibility to make decisions about disposition arrangements include, in order: a person, before his/her death, a power of attorney, a capable spouse or registered domestic partner, a mentally sound parent or parents, a competent adult sibling or the majority of these siblings, a stable adult person in the next degree of kinship or the majority of adult persons in the next degree of kinship. Remember that exceptions may apply in certain circumstances and you always have the right to choose a different person to make the decisions prior to your death, provided you consult with an attorney and include such instructions in a will. If this is the case, provide copies of your instructions to family members and keep your own copy in an easily accessible place. Before beginning your search for a San Francisco funeral service provider or funeral home in the larger areas of Richmond District, Tenderloin, Excelsior, Nob Hill and Bayview District or any of the smaller areas including Barbary Coast, Hunters Point, Rincon Hill, Treasure Island and West Portal, be sure you are the right person for the difficult tasks ahead and that if you are taking steps prior to your death, that you are seeking legal advice at every step. There are a variety of services necessary to plan a complete funeral and burial service. Before beginning your search for a San Francisco funeral service provider or funeral home, you have to find clarity on what it is you need and how you want to proceed with the arrangements. Many funeral homes offer full service packages, but, especially if you are pre-planning your own service, you may want to shop around and divide your business between providers who offer inexpensive options or to get exactly what you are looking for. It is imperative that you not waste your time by starting out before you are clear on exactly what you are looking for. As you can see, beyond deciding which San Francisco funeral service provider or home to employ, you will need to make myriad decisions about the type of services, burial and post-funeral gatherings that will take place for yourself or your loved one. Explore the questions below to help you determine how to choose a trusted San Francisco funeral service provider or home. Why Trust Diamond Certified Funeral Services Rated Highest in Quality? 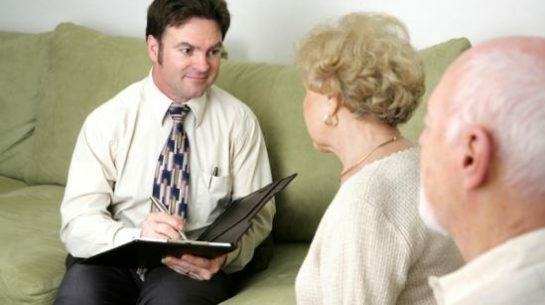 A funeral director assists a couple with funeral planning. Nick Proaño is manager of the pre-planning department at Duggan’s Serra Mortuary, a Diamond Certified company since 2003. He can be reached at (415) 587-4500 or by email. Outside of work, Nick spends his time on a variety of pastimes. “I’m a big sports guy, so I enjoy going to Giants, 49ers and Warriors games,” he says. “Also, my wife and I have a lot of family in the area, so we like being at birthday and holiday get-togethers, as well as our nephews’ and nieces’ sporting events.” Additionally, Nick likes exploring San Francisco and venturing into the Greater Bay Area to sample its many restaurants and breweries. A: I played football and ran track. A: Cellarmaker Brewing Company in San Francisco. A: Definitely a night owl—it takes quite a bit of coffee to get me going in the morning. Q: If someone was making a movie about your life, what actor would you choose to play yourself? 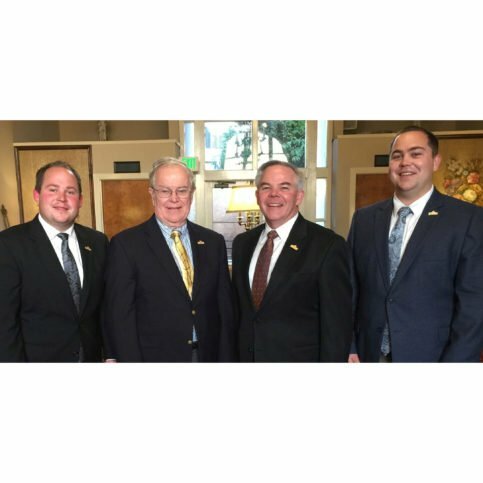 (L to R): Bill, Dan, Matt and Joey Duggan proudly continue Duggan’s Serra Mortuary’s legacy as a family-owned and operated company. Duggan’s Serra Mortuary’s transport vehicles are clean and well-maintained. Duggan’s Serra Mortuary provides celebrations of life and receptions. What Do You Want From a San Francisco Funeral Service Provider or Funeral Home? Taking the first steps toward planning your own or a loved one's funeral can seem like a treacherous task. However, clarifying your own (or your loved one's) expectations before beginning can make the whole process much simpler. A funeral service should be an intensely personal experience and you need to consider personalities, wishes and expectations before deciding on a San Francisco funeral service provider or funeral home. If planning for a family member or other person's funeral, does he/she have a will with specific instructions for their funeral? If pre-planning for my own funeral, do I have a lawyer with whom I can create a will to include specific instructions for my funeral? Do I want the ease of a full service package, or would I rather shop around for individual service providers? Am I looking for a full-service home with embalming and other disposition features? What kind of service is expected (graveside, traditional, multicultural, religious, private funeral or memorial)? What type of burial is expected (green, earth, crypt, mausoleum, columbarium, other)? If cremation is chosen, what type of urn is wanted (bronze, wooden, marble or to scatter remains)? If traditional burial is chosen, what type of casket is wanted (wood, bronze, copper, steel)? What type of memorial, monument or gravestone is expected? If you've determined it is important to you: do you provide grief counseling services as a part of your funeral packages? What types of packages do you offer? Are they subject to a breakdown of costs so that I can personalize my package, or would I need to purchase services individually? If a decision regarding type of burial has not been made: what options are available for disposition? What memberships and/or licenses do you, your facility and your staff maintain? What makes your service or home different from others? Why should I hire you? How can you have confidence that the San Francisco funeral service provider or funeral home you chose is the best you can do for your own arrangements or those of your family? Due to confidentiality agreements, the only way to really learn from past experiences with funeral providers or homes is to hire a Diamond Certified San Francisco funeral service provider or funeral home. That's because all certified companies have passed an in-depth ratings process that most other companies can't pass. If you want quality from a funeral service provider or home in San Francisco, you can have confidence choosing a Diamond Certified company. Diamond Certified reports are available online for all certified companies. And you'll never be taken by fake reviews. That's because all research is performed in live telephone interviews of actual customers. Keep in mind that funeral homes are unable to provide names of previous clients, so other than word-of-mouth references that you may have heard personally, hiring a Diamond Certified San Francisco funeral service provider or funeral home is the only way to have complete confidence in your choice of services. It is certainly an overwhelming time when a loved one passes away. You may choose to make things easier on your family members by pre-planning your funeral service, outlining your choices in a legal document and discussing your plan with your family before your death. You'll want to make your decisions by discussing them with a trusted representative from a San Francisco funeral establishment or memorial society in your area. Do I want to outline flowers to music choice to every small decision, or should I just plan for the larger decisions of type of burial, casket, etc.? Do I want or can I afford to pre-pay? Which family member can I trust to carry out my wishes? Are we emotionally ready to discuss my death and funeral arrangements in a clear-headed and productive manner? Many types of funeral specific flowers can be purchased from any San Francisco funeral service providers or funeral homes. You have a choice of casket sprays, religious symbols, wreathes, etc. The larger decision of cremation versus traditional earth burial has to be made prior to shopping for caskets or urns, but once the decision has been made, San Francisco funeral service providers or homes can help you choose the final vessel to keep earthly remains. Both caskets and urns come in a variety of styles and materials. Factors to consider include cost, style, environmental concerns, etc. Choosing a grave marker takes careful research and consideration. There are many types to choose from, but first you will have to determine answers to the following issues: size limitations, height restrictions, other rules enforced by the cemetery you have chosen. Types of grave markers include traditional headstone, plaque, wall marker or monument. Traditional: Usually includes one or more visitations (showings) with open or closed casket, a service to remember the life of the deceased with the body present in an open or closed casket and a procession to the cemetery for the burial. Memorial: Much like the traditional service, without the visitations or the body of the deceased present. Used mostly after burial or cremation, or when a body has not been recovered. Combined: Traditional and memorial services can be combined to accommodate each family member's comfort level and expectations, or travel limitations. Graveside: Commemorative services can be held at a chapel on the grounds of the cemetery or immediately before the burial at the grave site. Non-commemorative: These are also referred to as "direct" dispositions, when the deceased is buried, cremated or donated to science without a formal service. Make appropriate calls to notify those who need to remove the body from the place of death, including a coroner, local law enforcement if the death was not witnessed or through unknown causes, family members or the legal representative, and your chosen San Francisco funeral director. Meet with said funeral director to clarify all arrangements for funeral services. Choose and purchase all funeral- and memorial-related products. Pay for all funeral costs. After the funeral, determine all other costs including estate, financial and administrative matters of the deceased person. According to the National Funeral Directors Association 2010 price survey, the average cost of a funeral is $7,755. 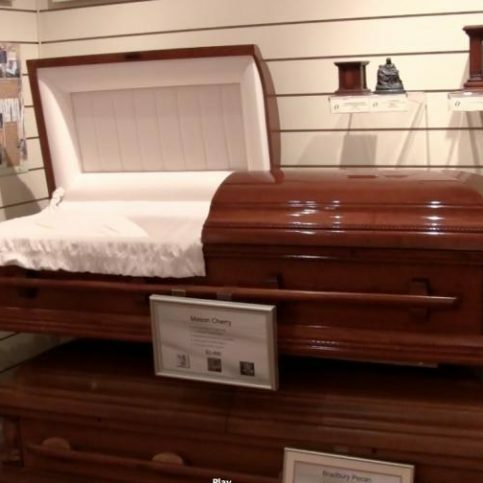 This cost is based on items chosen for a very traditional funeral including a casket and a vault, but does not include cemetery costs, which can easily exceed $2,000 more. While many people are quick to fault San Francisco funeral service providers and homes for this exorbitant pricing, you have to remember that these professionals carry extremely high operating costs that must be included in each funeral conducted. The FTC Funeral Rule gives funeral homes the ability to charge a service fee that includes charges to cover these costs. 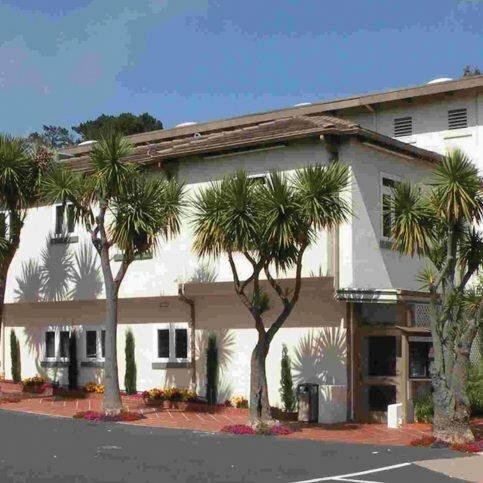 Funeral costs and exactly the services they provide depend on the San Francisco funeral home or establishment chosen. The very best way to determine all the costs up front is to use the questions in earlier articles to guide you as you pick a San Francisco funeral service provider or funeral home. Since you have determined which San Francisco funeral service provider or home you are hiring, you need to work with their representatives to decide which services and products you will need. Remember that if you do not want to go with a pre-packaged service, you have the right to buy each service and/or product individually, the cost tallying, in that event, would be your responsibility. How Can You Be a Satisfied San Francisco Funeral Service Provider or Funeral Home Customer? It's the San Francisco funeral service provider or home's responsibility to provide quality service using the best possible techniques of the trade. But you play a big part in the success of your funeral service provider or home, too. Here are a few simple steps you can take to be a good customer when looking for a San Francisco funeral service or home. Be clear and upfront with the funeral service provider or home. Let them know what you want from your service, the long-term outcome you're expecting and specific ways they can satisfy your expectations. Before you hire a funeral service provider or home in San Francisco, restate your expectations and goals, and reiterate to the representative your understanding of the agreement. Most problems with local funeral services or homes happen due to a breakdown in communication. By being clear about your expectations and theirs, you can avoid most conflicts. Ask your funeral service provider or home if you should call to check on the progress or if he will call you with updates. Be sure your service representative has a phone number where they can reach you at all times. Things will move along more smoothly if your funeral service provider or home can reach you for any necessary updates, questions or work authorizations. When your representative contacts you, return calls quickly. Pay the funeral service provider or home promptly. Why would you want to be a better-than-average customer? Funeral service providers and homes in San Francisco appreciate customers who are straightforward, honest and easy to work with. Your good customer behavior sets the tone from your end and creates an environment conducive to a good relationship. Things may very well go smoother and any problems may be more easily resolved. Most San Francisco funeral service providers or funeral homes will not need to be asked for an invoice. Funeral professionals want to be up front with people planning their own or a family member's funeral. If one is not produced, however, be sure to request an invoice once the funeral has been arranged so that all parties are clear on the services being rendered, products being purchased and fees associated with all funeral costs. The Federal Trade Commission’s Funeral Rule establishes certain goods and services that must be listed on a general price list for all funeral homes in San Francisco, including those in the areas of Richmond District, Tenderloin, Excelsior, Nob Hill and Bayview District. These are the ten most common goods and services provided by San Francisco funeral service providers and homes. Includes actual embalming and other preparation of the body including dressing, make-up, casketing, hair, post-autopsy care, refrigerated storage, restorative arts, etc. The Federal Trade Commission's Funeral Rule establishes certain goods and services that must be listed on a general price list for all funeral homes in San Francisco, including those in the areas of Richmond District, Tenderloin, Excelsior, Nob Hill and Bayview District. These are the ten most common goods and services provided by San Francisco funeral service providers and homes. Funeral language can often be specific and inaccessible to a layperson. The following terms will help you navigate the linguistic world of funeral service providers and funeral homes. An unfinished wood box or other non-metal receptacle without ornamentation, often made of fiberboard, pressed wood or composition materials, and generally lower in cost than caskets. Opening and closing graves, crypts, or niches; setting grave liners and vaults; setting markers; and long-term maintenance of cemetery grounds and facilities. A structure with niches (small spaces) for placement of cremated remains in urns or other approved containers. It may be outdoors or part of a mausoleum. Exposing human remains and the container holding them to extreme heat and flame and processing the resulting bone fragments to a uniform size and consistency. A space in a mausoleum or other building to hold cremated or whole human remains. The placement of cremated or whole human remains in their final resting place. A permit for Disposition must be filed with the local registrar before disposition can take place. Money collected from cemetery property purchasers and placed in trust for the maintenance and upkeep of the cemetery. The State monitors the fund and establishes the minimum amount that must be collected. However, the cemetery is permitted to collect more than the minimum to build the fund. Only the interest earned by such funds may be used for the care, maintenance, and embellishment of the cemetery. A service commemorating the deceased with the body present. 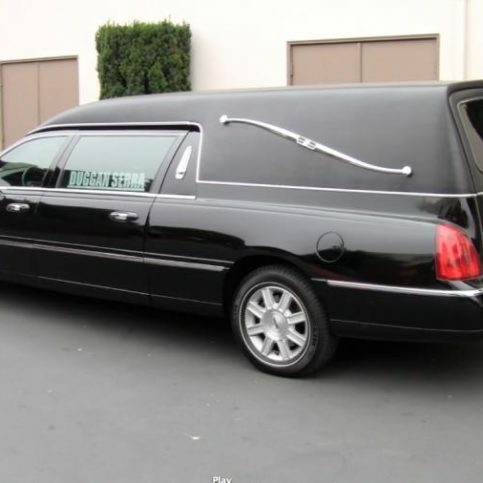 Services provided by a funeral director and staff, which may include consulting with the family on funeral planning; transportation, shelter, refrigeration, and embalming of remains; preparing and filing notices; obtaining authorizations and permits; and coordinating with the cemetery, crematory, or other third parties. A concrete cover that fits over a casket in a grave. Some liners cover tops and sides of the casket. Other liners (vaults) completely enclose the casket. Grave liners minimize ground settling on the cemetery grounds. A service to commemorate the deceased held at the cemetery prior to burial. Burial in the ground, inurnment, or entombment. The placing of cremated remains in an urn. A building in which human remains are buried (entombed). A ceremony commemorating the deceased without the body present. A consumer organization that provides information about funerals and disposition but is not part of the State-regulated funeral industry. A space in a columbarium, mausoleum, or niche wall to hold an urn. A container to hold cremated human remains. It can be placed in a columbarium or mausoleum, or it can be buried in the ground. A grave liner that completely encloses a casket. Q: Why choose a Diamond Certified funeral service provider or home? A: Diamond Certified helps you choose a funeral service provider or home with confidence by offering a list of top-rated local companies who have passed the country's most in-depth rating process. Only funeral service providers or homes rated Highest in Quality earn the prestigious Diamond Certified award. Most companies can't pass the ratings. American Ratings Corporation also monitors every Diamond Certified company with ongoing research and ratings. And your purchase is backed by the Diamond Certified Performance Guarantee. So you'll feel confident choosing a Diamond Certified funeral service provider or home. Q: How long can you wait to have a funeral without embalming? A: Most states require embalming or refrigerated storage within 24 hours after death. In some areas of the country, this stretches to three weeks. Q: What happens if a loved one dies while not close to home? The most important step to take is hiring a trusted funeral service provider or home that will take care of the transportation and storage details for you. Your funeral director should be able to make all necessary arrangements after the initial call. Q: If I donate my body to medical science, can my family still hold a service? A: A memorial service, where the body is not present, is appropriate in this situation, as most scientific donations need to happen quickly after death. Your funeral service provider or director at the funeral home should be able to coordinate your donation as well as a memorial service. Q: Does a member of the clergy have to perform a funeral service? A: No. Friends and family may officiate by sharing stories, memories and personal thoughts. Q: Why would I need to buy certified copies of a death certificate? A: Certified copies of death certificates are used as proof of death in any situation, but most commonly in financial determinations including the transfer of stocks and bonds, banking transactions and life insurance. Your funeral service provider should help you figure out how many you will need to settle the estate and should be able to get them for you. Q: What are burial vaults and graveliners? A: These are the containers into which the caskets are placed for protection. Vaults can be purchased in a variety of materials to keep the coffin safe underground. A graveliner is like a vault only lighter in weight and serves mostly to keep the surface from sinking overhead. Q: Can I purchase a casket from a discount company and use it when necessary? A: Yes. You are welcome to purchase each necessary item for your funeral needs individually. Issues to consider include storage of the casket until it is needed, delivery, warranties or guarantees, etc. Q: Why are some caskets more expensive than others? A: Caskets are made from a variety of materials including bronze, steel and different types of wood. The more expensive the material, the more expensive the casket. Q: What if I do not wish to use all the services a San Francisco funeral home offers? A: The Federal Trade Commission Funeral Rule states that all funeral homes must itemize their charges for goods and services and provide a general price list of these items. You have the right to select and pay for only those goods and services that you want, need or use. A: Remember that funeral service providers and funeral homes have extremely high overhead costs that they have to factor in to their prices for goods and services. Also, there tends to be a large range of prices and one should always shop around (if pre-planning) to determine the price that best fits their budget. A: According to the National Funeral Directors Association 2010 price survey, the average cost of a funeral is $7,755.00. This cost is based on items chosen for a very traditional funeral including a casket and a vault, but does not include cemetery costs, which can easily exceed $2,000.00 more. Q: What do San Francisco funeral directors do? A: The main function of a funeral director is to store and keep safe the remains until burial and can include embalming and restorative art. Many funeral directors are also trained grief specialists to help family members and friends. The funeral director often helps make all funeral arrangements from finalizing the services, the burial and any legal paperwork required. Q: Are the services of a funeral director necessary for burial? A: In most areas of the country, no. Each state has differing regulations. Call the local health department for specific requirements.